Pioneers of the soda industry during Prohibition (wink, wink). The Kalifornia Kola Co. originally operated plants in Pamona and San Bernardino before it opened a third plant in Los Angeles at 1838 East Vernon Avenue in 1921. The company manufactured soda water, Kal Kola, Budwine, and “Smile” syrup. 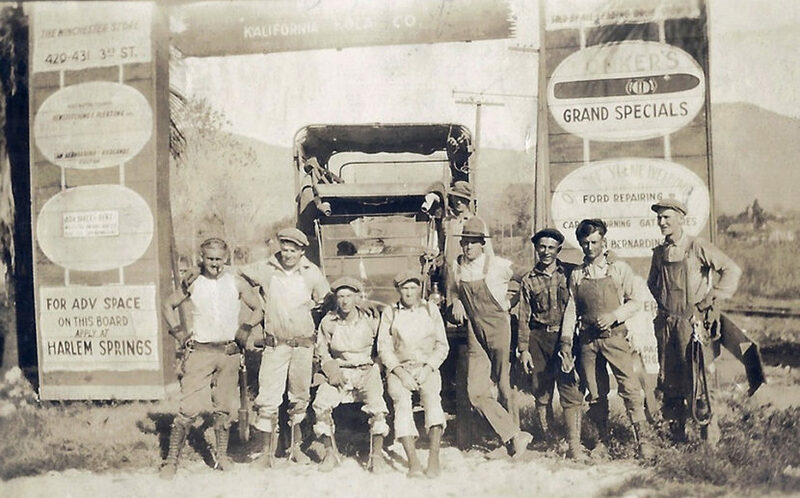 This 1922 photo appears to have been taken in San Bernardino.